HMAS Warramunga, as part of Combined Maritime Forces’ (CMF) CTF 150, was conducting a patrol in the international waters of the Gulf of Aden, on 3 March when she detected a suspicious vessel. The Australian ship quickly closed in on the suspicious dhow to conduct further investigations that led to the boarding. 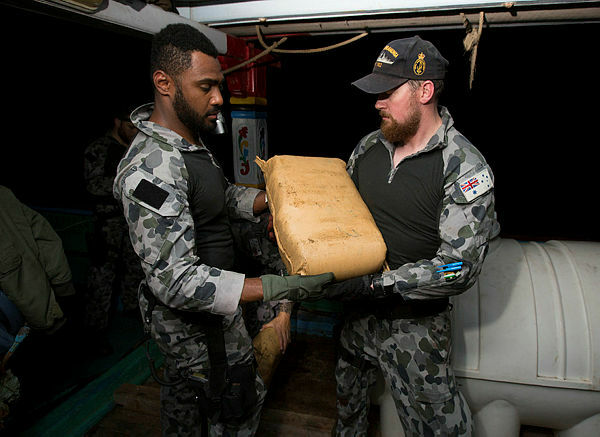 HMAS Warramunga was authorised to conduct a non-destructive search for illegal narcotics, weapons and charcoal. 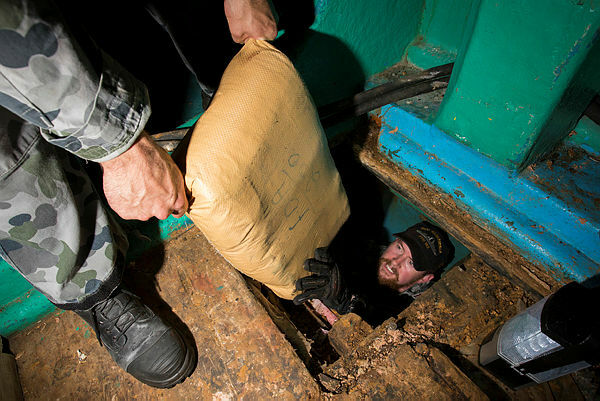 During that search, the boarding team located 4 tonnes of hashish, valued at over $155 million USD. 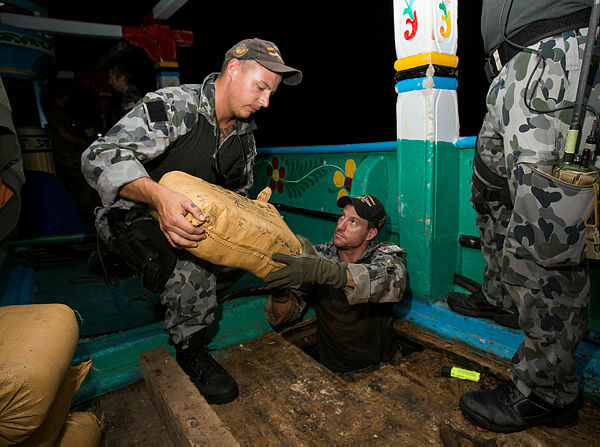 After completing a thorough search, the drugs were catalogued and transferred to HMAS Warramunga for safe disposal at sea. 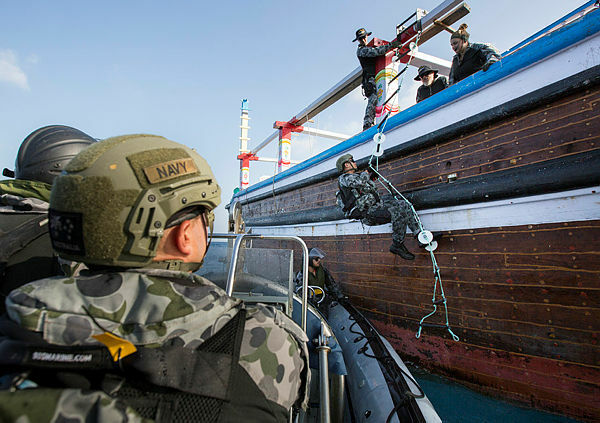 On 4 March, HMAS Warramunga continued her relentless pursuit of illicit smuggling, detecting a second suspicious dhow in the Arabian Sea. 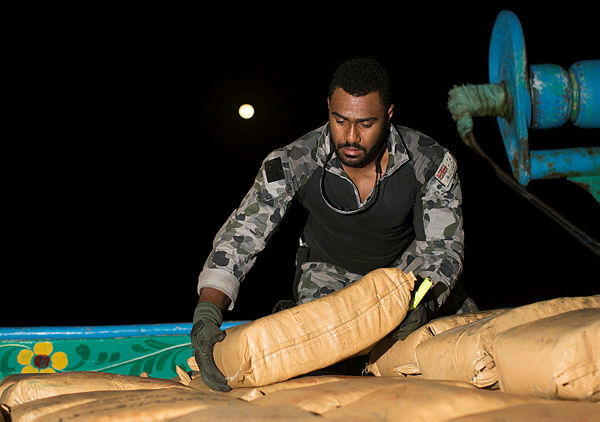 Intercepting and investigating the second dhow, boarding teams from HMAS Warramunga discovered an additional 3.9 tonnes of hashish, valued at over $151 million USD. 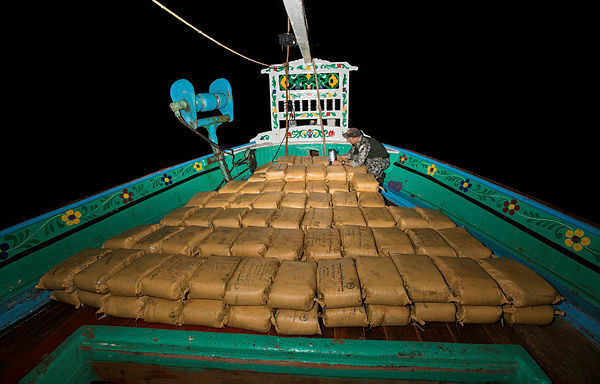 Since December 2017, multinational assets in support of CMF have seized 27.9 tonnes of hashish and 1.5 tonnes of heroin, valued at over $1.3 billion USD. CTF 150 is currently under Australian leadership, supported by a combined Australian and Canadian staff.